The southern hemisphere countries such as Australia have the perfect climate is great for outdoor living and even though her in the UK we don't have constant months of sun it's doesn't mean we don't enjoy our outdoor space just as much. If your home doesn’t have an outdoor area, or if the area doesn’t really facilitate spending lots of happy hours enjoying the fresh air, perhaps it’s time to consider a renovation. When most people think of renovating they think of adding a spare bedroom or extending the kitchen. 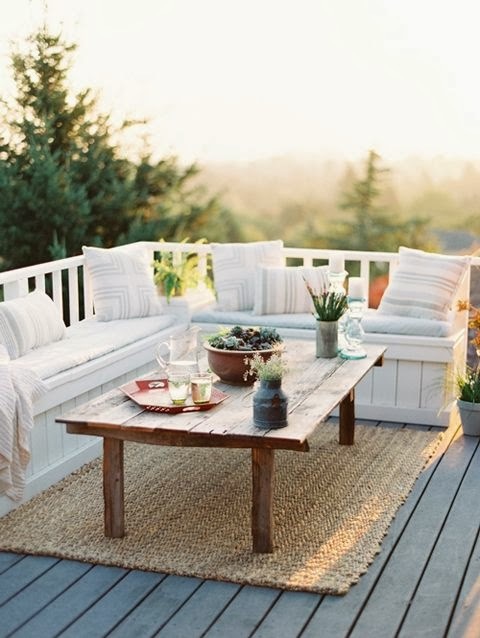 Rarely do folks consider renovating their outdoor area and yet it really can be one of the best features of the home. A great outdoor area will improve your lifestyle and will also create an excellent first impression to visitors. There are lots of examples of outdoor areas online, just click here and be inspired. There are a number of things to think about before you begin your outdoor area renovation. Here are just five. Have a good look around your property; check out the orientation of your block. 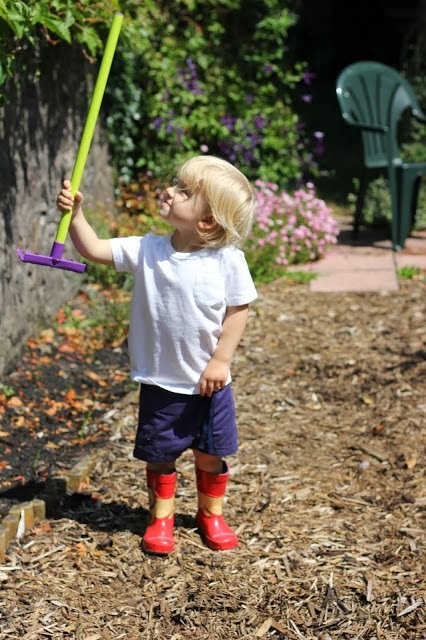 Think about what you like about your garden, where you like spending time. This will help you decide where to place seating and outdoor lighting. 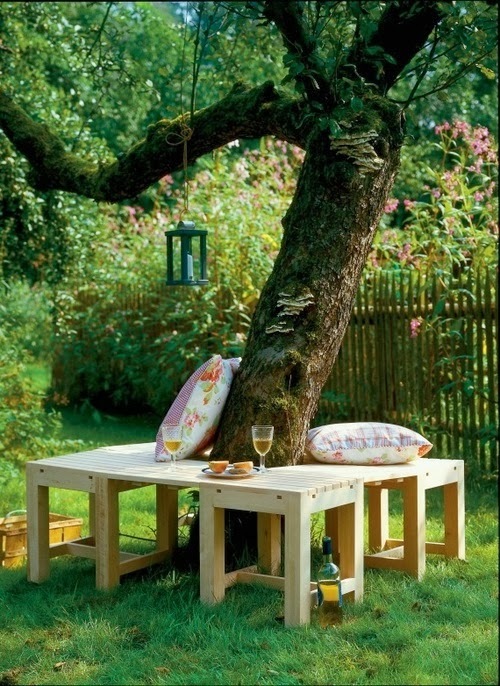 If you have a favourite tree, you might like to incorporate some built-in seating at its base as well as a couple of solar lights. Consider how you can enhance the existing features of your outdoors. Another thing to consider before renovating is lighting. If you will be using your space at night you will need to include outdoor lighting in your plans. If you are planning a barbeque area you will probably need overhead lighting. If you wish to highlight pathways then task lighting will be what you want. What features would you like to enhance with lighting? If you have a beautiful hanging plant or a favourite tree, you might like to highlight it with lighting. Think ambience and aesthetics as well as function. You will want your outdoor area to look appealing from the street. Go out into your street during the day and also at night to see what improvements need to be made. Sometimes a few small renovations will greatly improve the appeal of your home from the street, things like painting the courtyard wall, adding a nice light fitting to your patio or installing a new front door can make a huge impact. Harsh weather conditions can play havoc with your fence. Consider giving your fence a facelift as part of any outdoor renovation plans. A fresh coat of paint may be all that’s required or perhaps you to build a new fence, one that better complements your home and outdoor area. 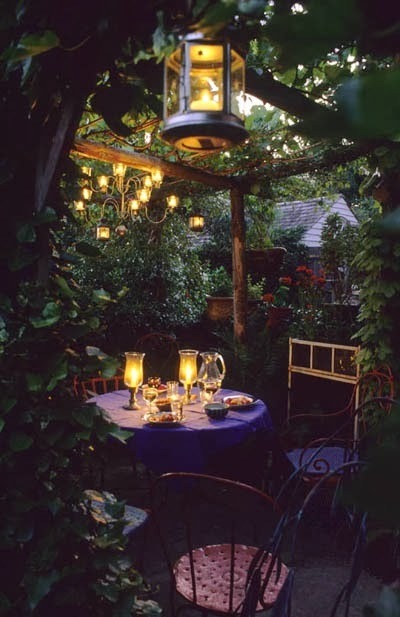 Many people love to eat outdoors and have an outdoor table setting so they can do just that. However, having an outdoor kitchen will take the experience to a whole new level. 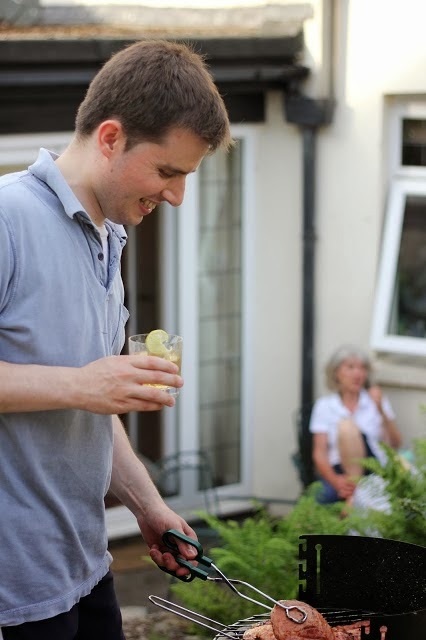 If you and your family are outdoors people, you will love cooking and entertaining outside during the warmer months. You can make your outdoor kitchen from weather-proof materials. It feels like ages since I have read your blog! I love the romantic setting and Mr A looks like he is having fun exploring. Lovely post. i wish we had a nice garden! we basically have a small patio but it's still better than nothing! I'll hopefully be moving house before the summer and am planning to make our new garden something to be proud of. I love the romantic lighting, it looks beautiful. Wrote a long comment last night and then it wouldn't publish - annoying! Anyway, back to say that all those look like great ideas to consider. We have a nice big garden. It was one of the deciding factors in buying our house last year. But we have done very little to it and it looks like another year for it to just sit there! Someday.